Welcome to #BCGPix, our daily feature at the BCDN that gives you a quick peek at a golf hole you wish you were playing right now. 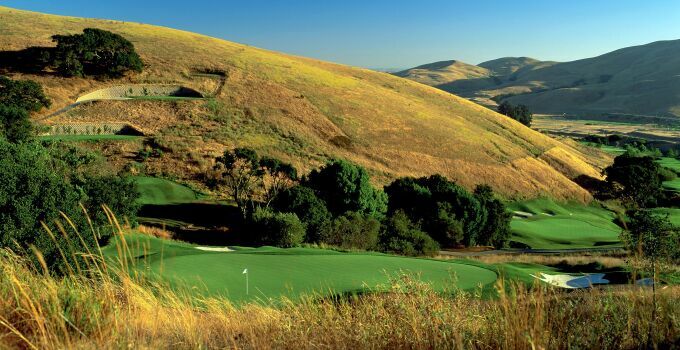 Today's #BCGPix comes to us from sunny California and Hiddenbrooke Golf Club. Hiddenbrooke, located in Vallejo just 40 minutes north of San Francisco, is an Arnold Palmer design awarded four-and-a-half stars by Golf Digest magazine. Pebble Beach Golf Links and Spyglass Hill are the only two courses in California to receive the five-star rating. This is a shot of the par-3 13th, playing 171 yards from the tips.